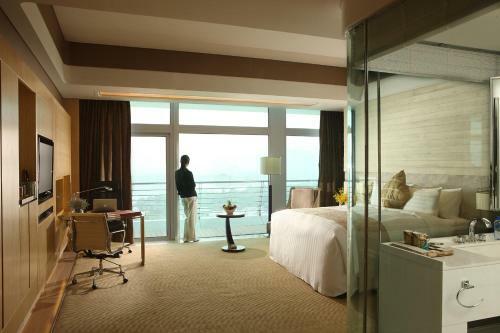 Crowne Plaza Suzhou is ideally located in Suzhou Industrial Park, against the scenic backdrop of beautiful Jinji Lake. 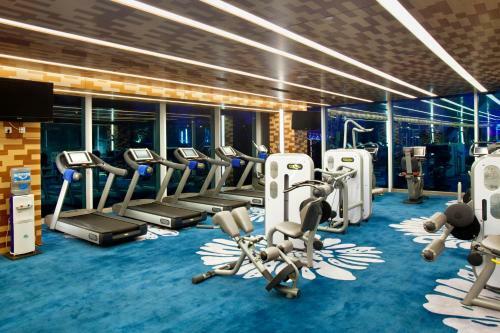 The luxurious hotel offers a spa, a fitness centre and free parking. 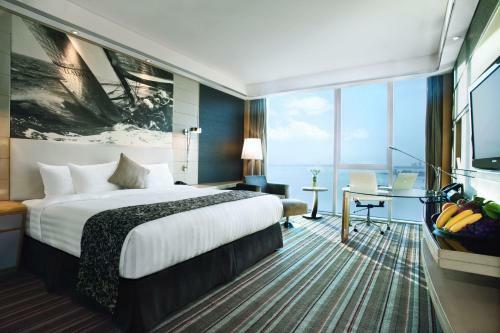 The stylish rooms of Crowne Plaza are fitted with flat-screen cable TV, a minibar and tea/coffee making facilities. Rooms are spacious and offer either lake or garden view. Guests can take a refreshing dip at the indoor or outdoor pool, or simply relax in the sauna rooms. 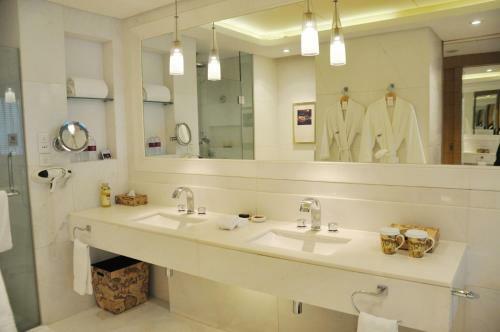 The hotel also offers a business centre, as well as a tour desk to assist in travel arrangements. 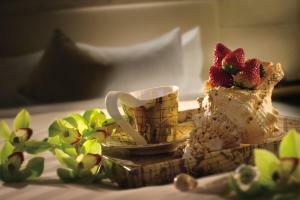 There are a grand total of 5 dining options at Crowne Plaza Suzhou. Sun Seeker serves a variety of Chinese, Asian and International cuisines while Prince Restaurant features Cantonese delicacies. Authentic Japanese dishes can be found at Wasabi Restaurant. 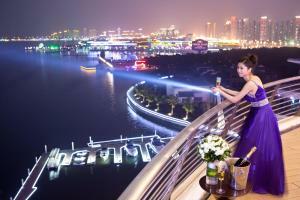 Suzhou Crowne Plaza is a 25-minute drive from Shanghai and a 10-minute drive from the city centre. The Times Square entertainment and shopping district is a short walk from the hotel. Due to the Xinggang Street road closure, please pay attention to the following driving tips: - The Xinggang Street Interchange of Loujiang Road, is closed. Please exit through the Xingming Street interchange or Linglong Street Interchange. - Turning left is prohibited at the cross of Xiandai Avenue and Xinggang Street. When you drive along the Xiandai Avenue from east to west, please turn around and go over the bridge to arrive at the hotel. 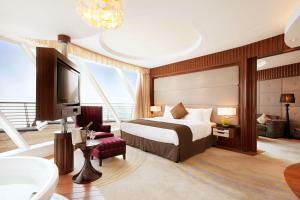 Deluxe room is 42 square metres and features lovely views. Rate: CNY 972.00 ... CNY 1872.00; select dates below to get current rates. Guests enjoy club lounge access and benefits. Features views over Jinji Lake. 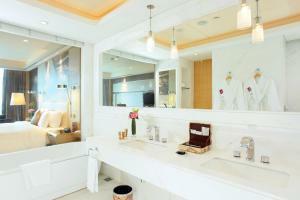 Spacious suite features a separate lounge area and TV with satellite and cable channels. Room comes with 2 single beds. Please note that smoking is not allowed in this room type. 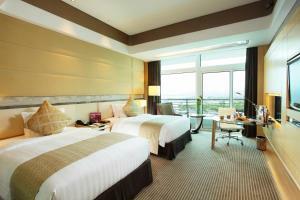 Offering lovely lake views, premier room comes with a king-sized bed. Please note that smoking is not allowed in this room type. This double room has a DVD player, sofa and minibar. This twin room has a DVD player, sofa and electric kettle. This suite has a CD player, DVD player and seating area. This suite has a bathrobe, air conditioning and CD player.